How recyclable is a sealable coffee bag? 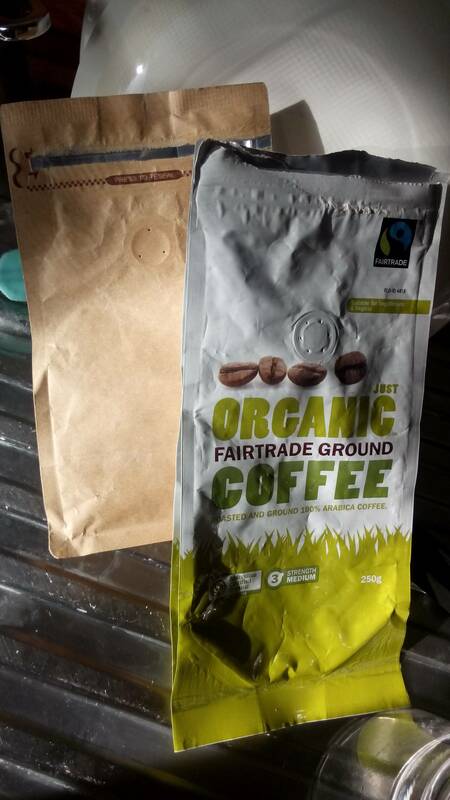 I am aware of a few ways to "upcycle" a sealable coffee (ground or whole beans) bag (see photo), but how recyclable is it? I am sure it depends a lot on where I live, but I was wondering if you knew of a system currently in place that allows a recycling plant to recover the materials that are part of those bags, which I often see made of plastic/aluminium or paper/plastic/aluminium. They often include an "aerating/breathing" plastic circle on one side. I am asking because I know that it is very common to recycle complex packagings like drink cartons (i.e. Tetra Pak type). It depends on whether you can separate the aluminum alloy, plastic, and biological layers. These three are distinct raw materials in the creation of new metal, plastic, and paper. It is difficult to mechanically and chemically separate these items in an automated system, although possible. It is questionable whether the energy and raw materials required to do so is greater than the sustainability value to have them separated. In all likelihood, simple long term rotting is the way to return such materials to the biosphere, but if you can find a way to hand separate them quickly, they you could recycle them and the total process is much more likely to be sustainable. Not the answer you're looking for? Browse other questions tagged recycling waste or ask your own question. Are pizza cardboards stained with oil still recyclable? Can you recycle single serve coffee pods like K-Cups? Are incandescent light bulbs recyclable? Is the bag of cat food recyclable? What is the most sustainable way of making coffee? Are used “blister packs” recyclable? Are foam netting sleeves recyclable? Is it better to put something potentially unrecyclable in the recycling bin or to put something recyclable in the waste bin?